MacBook Pro vs. MacBook vs. MacBook Air. Here’s what you need to know to pick the right one. You’re planning on buying a new Mac laptop. So you head over to your local Apple store, or you peruse the pages of Apple’s website, and you find yourself with money to spend but no idea on which MacBook to buy. Don’t worry! That’s why we’re here. 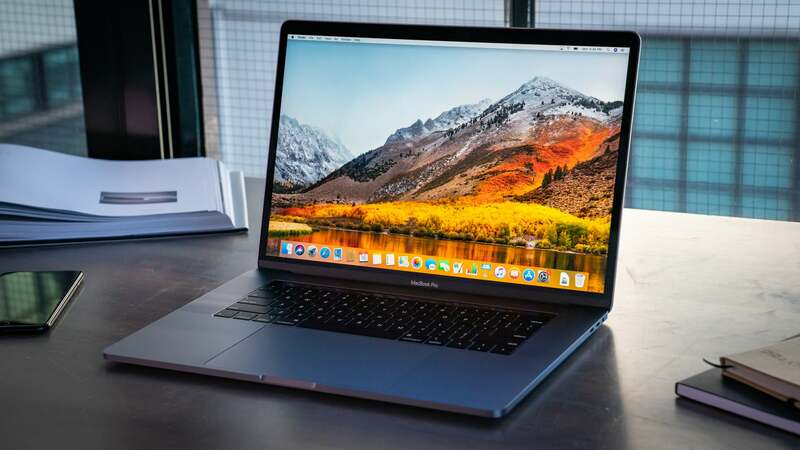 In this guide, we’ll go over Apple’s current MacBook lineup, point out their differences and similarities, and provide you with the information you need to pick the right MacBook for you. You can get more in-depth information in our reviews of the MacBook Air, MacBook and the MacBook Pro. Longtime Mac users may remember when the MacBook Air made its debut years ago as Apple’s entry into the ultra-portable laptop market. But times have changed, and starting in 2015, the MacBook was repositioned as Apple’s affordable laptop. How many models can I choose from? 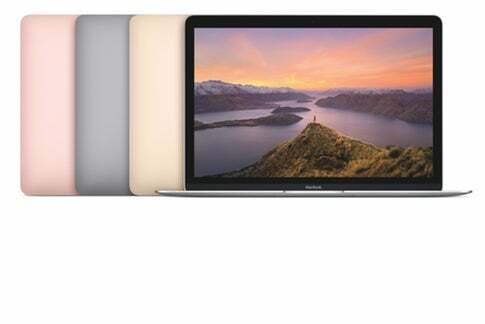 Apple offers three standard configuration MacBook Air models. Two models are identical except for the amount of storage. The third model is an older laptop. What are the prices for the MacBook Air? $999, $1,199, and $1,399. What are the MacBook Air specifications? Here are the specifications for the $1,199 an $1,399 laptops. These are the most current MacBook Air models. The $1,199 MacBook Air has a 128GB SSD for file storage. The $1,399 model has a 256GB SSD. Here are the specifications for the $999 MacBook Air. This model was originally released in 2017. What is it good for? The MacBook Air doesn’t use Intel’s most powerful processors, but it’s strong enough to handle typical tasks, like internet access, writing, spreadsheets, presentations, and other productivity-related jobs. It also has enough processing punch for using Apple Photos to edit and manage your pictures, or to create short YouTube videos in iMovie. The $999 MacBook Air doesn’t have a high-resolution screen so images on screen won’t look as sharp as they would on the other MacBook Air models, a MacBook, or a MacBook Pro. Save some money and buy refurbished: Apple’s Refurbished and Clearance online store has a few MacBook Air models for sale. While not brand new, these gently-used laptops have been refurbished to Apple’s strict guidelines and are like new. Learn more about Apple’s Refurbished and Clearance online store. You can buy brand-new laptops by clicking on the View button in the product. Macworld’s buying advice: The MacBook Air is a capable laptop for your everyday work—and it won’t take up a lot of room in your bag. If you can, opt for the $1,399 model and its larger SSD capacity. Budget-conscious buyers will like the $999 MacBook Air’s price, but you’ll make a several compromises with this particular model. Apple’s MacBook is designed for the person who is always on-the-go and needs a laptop that won’t leave you with an aching back at the end of the day. It’s also Apple’s smallest laptop, able to fit in most backpacks, briefcases, satchels, and bags. How many models can I choose from? Apple has two standard configurations of the MacBook. Pay more money, and you’ll get a slightly faster processor and more file storage space. Also, all MacBooks are available in Silver, Space Gray, Gold, or Rose Gold. What are the prices for the MacBook? $1,299 and $1,599. What is it good for? Since the MacBook is designed with portability in mind, it doesn’t have a fast processor. Its performance is a bit faster than the MacBook Air, but it lags behind the 13-inch MacBook Pro. That said, the MacBook has no problems handling everyday productivity tasks, as well as some basic video editing in iMovie, Keynote presentations, and image editing and photo management in the Photos app. Save some money and buy refurbished: Apple’s Refurbished and Clearance online store has a few MacBook models for sale. While not brand new, these gently-used laptops have been refurbished to Apple’s strict guidelines and are like new. Learn more about Apple’s Refurbished and Clearance online store. Macworld’s buying advice: If you’re road warrior making presentations to clients and groups, or working at remote locations, the MacBook is capable of handling your workload. And you’ll barely notice it in your bag—your back will thank you. The MacBook Pro is Apple’s top-of-the-line laptop. If you want a laptop that can handle any task you throw at it—and you don’t have a constraining budget—the MacBook Pro is the laptop you want. How many models can I choose from? Apple offers six standard configuration laptops: four 13-inch models, and two 15-inch versions. Each model is available is Silver or Space Gray. What are the prices for the MacBook Pro? The 13-inch models go for $1,299, $1,499, $1,799, and $1,999. The 15-inch models are $2,399 and $2,799. What are the MacBook Pro specifications? Here are the specifics on each model. We’ll start with the 13-inch laptops and then list the 15-inch ones. There are two 13-inch MacBook Pro models that do not have the Touch Bar. The difference between these two models is the SSD. These laptops were originally released in 2017, and were not updated when Apple introduced new 2018 MacBook Pro models with Touch Bar. 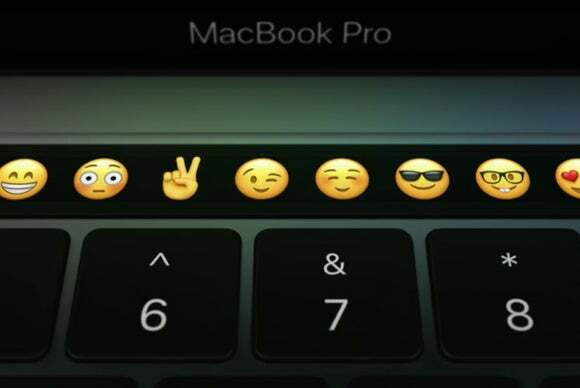 Besides having a Touch Bar, Apple offers two 13-inch MacBook Pro models that have a few different features than the models without a Touch Bar. These Touch Bar laptops have faster processors, faster graphics, and four Thunderbolt 3 ports. The difference between the two 13-inch Touch Bar models themselves is the SSD. Save some money and buy refurbished: Apple’s Refurbished and Clearance online store has a few 13-inch MacBook Pro models for sale. While not brand new, these gently-used laptops have been refurbished to Apple’s strict guidelines and are like new. Stock ebbs and flows, so it’s possible you may not find refurbished versions of the 2018 laptop, and only find older models. Apple sells two standard configuration models of the 15-inch MacBook Pro. Here are the differences between the two models. What is it good for? If you have a heavy workload, the MacBook Pro has the power to handle it, no sweat. Video production, graphics and animation, serious data crunching—you name it, the MacBook Pro is built for it. The MacBook Pro isn’t as powerful as a desktop computer, but it is strong enough to serve as your only computer. All this processing prowess comes at a price—the MacBook Pro is Apple’s priciest laptop. And it’s also its heaviest, with the 15-inch models pushing past 4 pounds. That may not sound like a lot, but imagine yourself on the road, meeting with people, working remotely. The weight wears on you as the day goes on. Save some money and buy refurbished: Check Apple’s Refurbished and Clearance online store for stock of the 2018 15-inch MacBook Pro. While not brand new, these gently-used laptops have been refurbished to Apple’s strict guidelines and are like new. Plus, you can save some money. The inventory fluctuates a lot, however, and it’s possible that you wil only find older models. Macworld’s buying advice: Picking a MacBook Pro is a little complicated, not just because of the size differences, but the differences between the features offered within each size category. If you want power on a budget, consider the $1,799 13-inch MacBook Pro with Touch Bar. It’s a good combination of speed and price. The 256GB SSD is the major compromise you’re making here. If you plan to do a lot of creative work that results in large files, the SSD could fill up quickly. 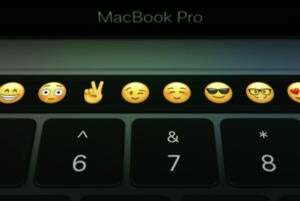 The Touch Bar on the MacBook Pro. The 15-inch $2,799 MacBook Pro with Touch Bar is the laptop with all the bells and whistles. It’s the one for the most demanding users, who will like the hefty discrete graphics card. If you really need to keep the price down, consider the $1,499 13-inch MacBook Pro without the Touch Bar. The 128GB SSD in the $1,299 version is probably too small and most people will fill it up quickly, which is why you should think about the $1,499 model, which has a 256GB SSD. While the Touch Bar is neat, we wouldn’t consider it a must-have feature—your milage with it may vary. Because the new MacBook Pros rely on Thunderbolt 3, you’re going to need to stock up of adapters to connect items like an external display, hard drive, and more. We have a MacBook Pro Thunderbolt 3 adapter guide to help you find the ones you need.